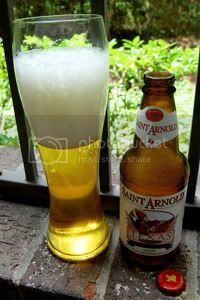 Well, it took a few years, but I'm finally getting around to reviewing Saint Arnold's flagship brew. 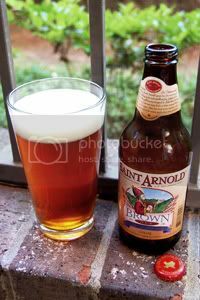 First brewed way back in 1994 as the company's first official offering, Saint Arnold Amber Ale has been the top dog ever since. Released after just six test batches were brewed, the initial version of Amber Ale was actually closer to an India Pale Ale. While that wouldn't be the end of the world in today's beer climate, back in the bleak days of the mid-nineties it was a bit of an obstacle for an uninitiated public. After just three months on the market, the brewers made some changes, and the recipe has stayed the same for the last 15 years. A well balanced, full flavored, amber ale. It has a rich, malty body with a pleasant caramel character derived from a specialty Caravienne malt. A complex hop aroma, with a hint of floral and citrus comes from a combination of Cascades and Liberty hops. This is a beer I've enjoyed while out and about many times, but I don't think I've ever actually brought a six-pack home. I'm looking forward to taking some time to really see what makes this beer tick, so let's get to it. 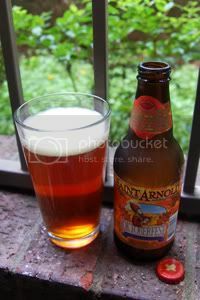 Appearance: A slightly hazy, golden-amber body with a bubbly whitish head that recedes quickly and leaves good lacing. Aroma: Citrusy and herbal hops over a toasty caramel malt base. Much hoppier than the average Amber. Taste: Lots of juicy fruit and hop flavors. Not quite as hoppy in the mouth, but still probably hoppier than average for the style. Underneath, a sweet and toasty malt backbone. The aftertaste is toasty with a hint of juicy fruit. Mouthfeel: A smooth, medium body with moderate carbonation. Dries a little in the finish. Drinkability: Excellent; this would make for a great session beer. 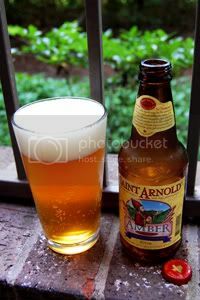 Verdict: Saint Arnold's Amber Ale is a very solid example of the style, and really fits the bill of a brilliant session beer. All of the juicy fruit and hop notes make this a more attractive proposition than most of the Ambers I've tried. This year represents 25 years since the Widmer brothers founded their pioneering Portland brewery. The beer that really catapulted the company into prominence was their Hefeweizen, but the beer that really got them going in the first place was their Altbier. 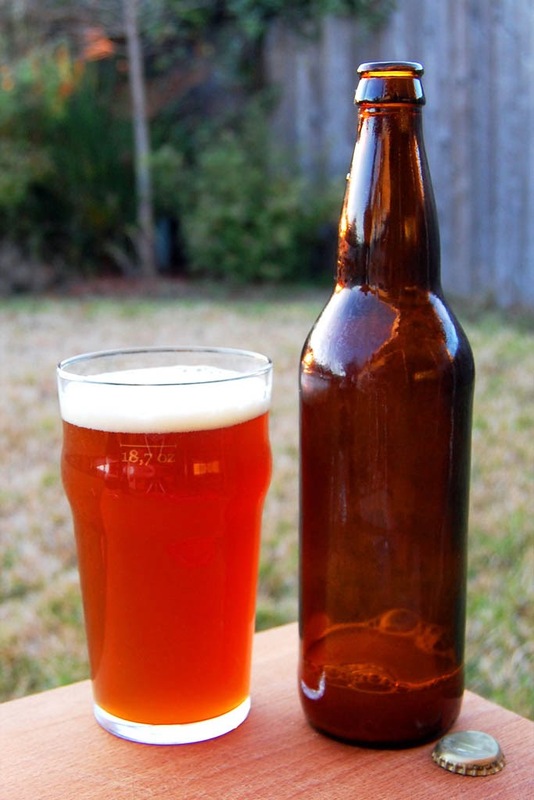 Altbier is a German style, whose name means "old beer." In this case, "old" refers to the fact that this beer represents traditional, pre-Lager takeover German brewing, not that the beer is aged or stale. In honor of this year's anniversary, Widmer decided to brew up a tribute to their original Altbier, this time with the volume turned up to 11. 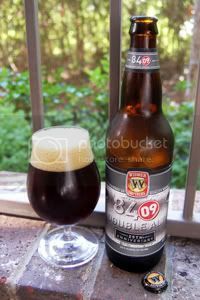 The result is 84/09 Double Alt, which is essentially a Sticke, or "Double Altbier." With an alcohol level just shy of double-digits and this being my first Altbier of any description, this should be a rather interesting introduction. Enough babble, let's crack a bottle in honor of a quarter-century of Widmer! Appearance: A dark and murky mahogany body with stunning ruby highlights. Up top, two fingers of off-white, creamy head that sticks around a while and leaves good lacing. 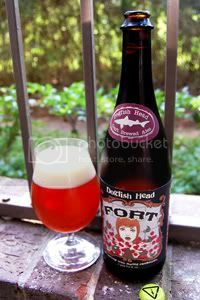 Aroma: Lots of rich malt with spices and dark fruit. Reminiscent of a Doppelbock. Taste: Similar to the aroma. Spices, raisins, and bananas over a rich and mildly bitter malt backbone. That nearly ten percent alcohol content is present throughout, but never oversteps its bounds. The aftertaste is peppery and somewhat boozy. Once again, a very similar profile to that of a Doppelbock. Mouthfeel: A slightly fuller than medium body with moderate carbonation and a dry finish. You can detect alcohol on the tongue, especially as the beer warms. Drinkability: Not quite a sipper, but it's close. Verdict: Honestly, I would have pegged this as a Doppelbock, but that's probably due to my inexperience with Alts and Stickes. Regardless, 84/09 is a tasty brew and a worthy marker for this milestone. Congratulations on 25 years Widmer! Note: While this review is being published in December, the tasting notes contained within were taken when the beer was fresh this past June.